Shaz is the Principal Dentist at Hindley Dental Practice. He qualified as a Dentist from the University of Manchester Dental Hospital in 1996. Following his graduation he gained a wealth of experience by working in Manchester Dental Hospital and other Dental Practices before establishing is own practice here in Hindley in 2002. He is passionate about all aspects of dentistry and especially helpful with dental phobic and nervous patients to achieve their best smile. He is a full member of the BACD as well as being a fully qualified hypnotherapist (2013). He also has experience in Implant surgery and Six Month Smiles orthodontics. Shaz attends conferences and dental show cases. He gave a lecture on Implants at Birmingham Dentistry Show. Shaz is a treasurer at the Local Dental Committee (LDC). In his spare time he enjoys yoga, holidays and is a keen Liverpool football supporter. 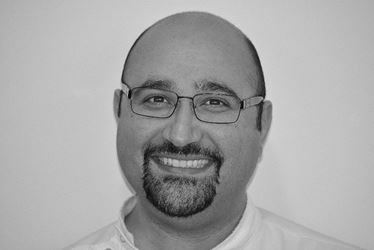 Omid qualified as a Dentist from Sheffield University in 2010. He spent his Foundation Dentist year in another practice in the Wigan area before joining Hindley Dental Practice in 2011. He has a postgraduate qualification in Restorative Dentistry from the University of Chester and has a keen interest in Orthodontics. He has undergone further training at London Orthodontic Academy and is a member of the European Society of Aesthetic Orthodontics. He can provide Invisalign, Six Month Smiles and comprehensive orthodontic options. He has recently enrolled to gain his MSc at the University of Warwick.In his spare time he enjoys skiing, ice hockey and playing the guitar. 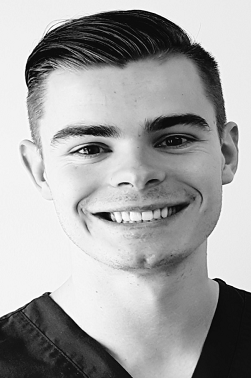 Ben recently qualified as a FD from Manchester University and joined the team here at Hindley Dental Practice in September 2017. 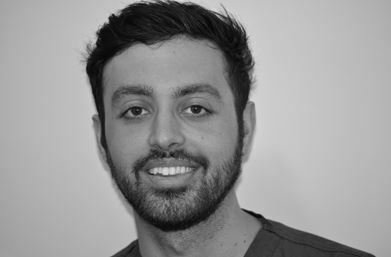 He really enjoys all aspects of Dentistry and looking forward to expanding his knowledge within dentistry. In his spare time he likes to go out with friends, race go-karts, play football and has recently started training in mixed martial arts. Ben loves to travel and explore a new place at every given opportunity. He feels really welcome here at Hindley Dental Practice and is looking forward to seeing what the future brings. 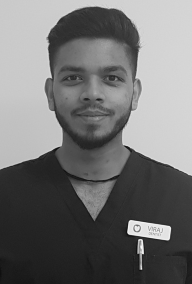 Viraj recently qualified as a FD from the University of Liverpool and joined the team here at Hindley Dental Practice in September 2018. 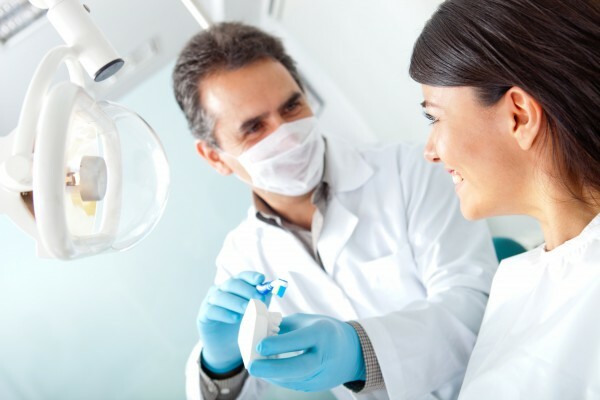 He has a particular passion for helping nervous patients overcome their dental phobias and introducing the Dentist in a positive light to all patients to allow them to form a lifelong relationship with our dental family. Outside of dentistry, Viraj is a Formula 1 fanatic and loves to keep fit by going to the gym and swimming. He is also a huge food enthusiast, and loves to cook, eat and feed people (Generously). He looks forward to his future here and meeting you all at Hindley Dental Practice. 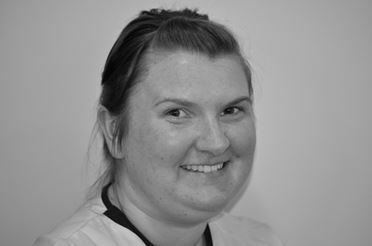 Kathryn is a Dental Hygiene Therapist here at Hindley Dental Practice. Kathryn qualified inMarch 2012 from The Manchester school of Denal Care Professionals and was awarded her Diplomas by the Royal College of Surgeons, shortly after Kathryn joined our team. Kathryn is our ‘Baby Teeth Do Matter Ambassador’ and eagerly visits our local schools to provide them with much needed oral health advice. This is a new initiative within our area and has so far proven popular with the schools Key Stage One pupils. Kathryn enjoys socialising with friends, meeting new people, watching rugby, football and also spending time with her family. Antonia (Toni) is the Practice Manager of Hindley Dental Practice and has worked here since 2002 shortly after it opened. 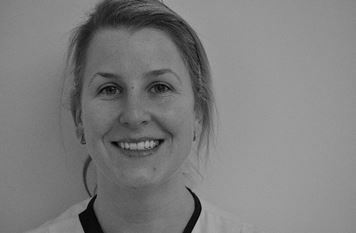 She has always been a key member of the team and has developed her own clinical knowledge and education in Dental Practice by attending numerous courses and obtaining qualifications in dental nursing and practice management. Toni enjoys taking her 8 year old son William, out on day trips and spending time with her family. Jodie joined our practice in 2008. Following completion of her apprenticeship, she gained qualifications in Customer Service and Cross Infection Control. Jodie is our Head Cross Infection Control nurse here at the practice and ensures that all staff follow the correct Policies and Protocols and that everyone is kept up-to date with the HTM105 for practice inspections. She enjoys reading, going on holidays, going out for food and also spending time with her partner and little girl. 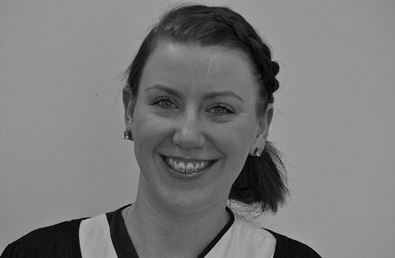 Beth joined Hindley Dental Practice in 2010 and gained her Dental Nurse Qualification in 2011 after which she joined the GDC register. Beth has also qualified in customer services training. 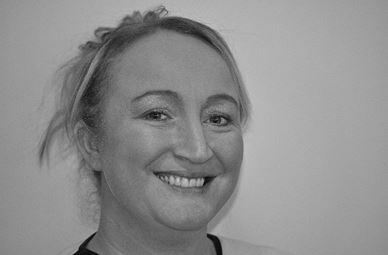 Her duties at Hindley Dental Practice include carrying out risk assessments, organising stock control and being responsible for our First Aid protocols. Beth is our practice first aider. In her spare time she enjoys socialising, reading and days out with her family. Lucy qualified as a Dental Nurse and joined the GDC register in 2011 after training at our practice. 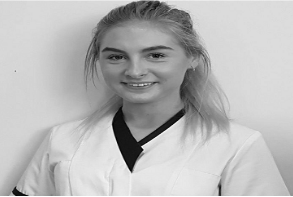 She loves working in surgery and has a huge interest in Oral health, therefore was keen to gain more knowledge and recently qualified as a Oral health Educator she really enjoys discussing with patients the importance of Oral Health and Diet Advise. In her spare time Lucy enjoys shopping and going on holidays in her free time. Jade joined our practice in April 2014. She has been a qualified Dental Nurse for 16 years but took an 8 year gap to enjoy spending time with her young children. 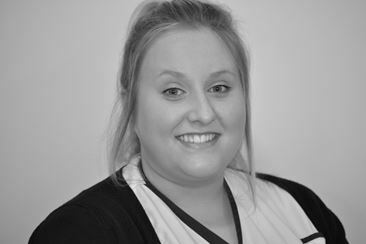 Jade has experience working for NHS Direct, advising patients suffering from any dental problems. Jade is currently working alongside our Foundation Dentist and helps them through their first year of Dentistry. She enjoys spending time with her husband and two children and also socialising with friends. 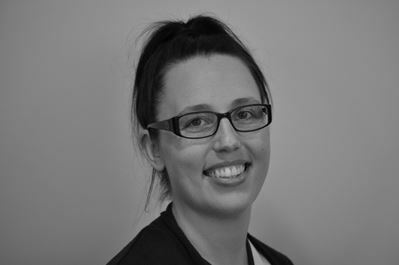 Jodie started working at Hindley Dental Practice in June 2014. She completed her qualification through the Dental Nursing Cadet Scheme at Manchester Dental Hospital in August 2016 and then registered with the GDC. 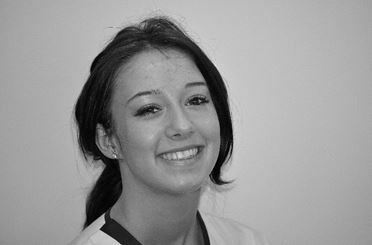 Jodie is looking forward to furthering her career within Dentistry and is keen to learn more. In her spare time Jodie enjoys socialising with friends, shopping, eating out and also spending time with her family. She has recently passed her Driving test and loves driving around in her little car. Zara joined Hindley Dental Practice in July 2017 as a Trainee Dental Nurse. She has recently completed her qualification on the Cadet Scheme at Manchester Dental Hospital and looks forward to joining the General Dental Council Register soon. Zara is thoroughly enjoying her time here at Hindley Dental Practice and feels like she has adapted to the practice really well. Zara is now keen to further her knowledge within dentistry. In her spare time Zara likes to spend time with her partner and family and has a keen interest in travelling.